You would think an artisian ice creamery known for putting out quirky flavors would come up with some unique for its latest offering. After all the popular Humphry Slocombe created an ice cream flavor for every brewery at this past year's San Francisco Brew Fest. And of course who could forget the foie gras flavor or the fellow San Francisco parlor Humphry Slocombe inspired to serve "French vanilla ice cream w/ orca bacon and Chilean sea bass sauce" and call it a sundae? But Wednesday the ice cream parlor known for its colorful tweets took a decidedly different approach. "New flavor. Introducing- Here's Your Damn Strawberry ice cream! 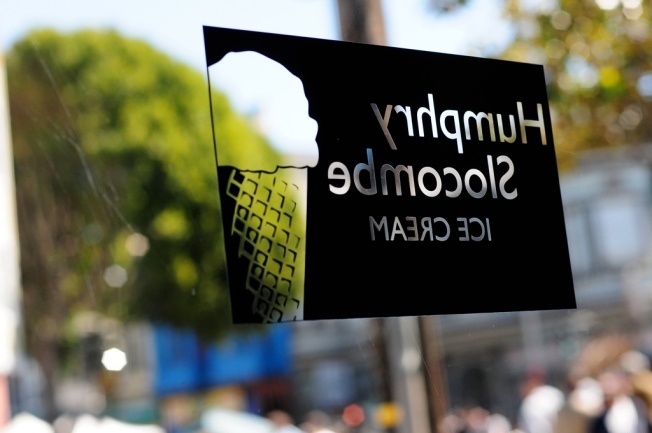 Fresh, late season strawberries and cream to keep your kids from screaming," Humphry Slocombe tweeted Wednesday. We must admit, that sounds a whole hell of a lot better than foie gras or orca bacon and Chilean sea bass sauce.